If a store is offering free mascara samples, I'm pretty much there. I'm not entirely sure what prompts this, because I've yet to meet a mascara that tops ye olde Maybelline Full n' Soft. If I had to guess, though, it probably has something to do with my belief that a tiny tube of mascara is more substantial and fun than most foil packet skincare samples. But because, again, few mascaras work as well for me as Full n' Soft and they cost more, I'm usually disappointed. 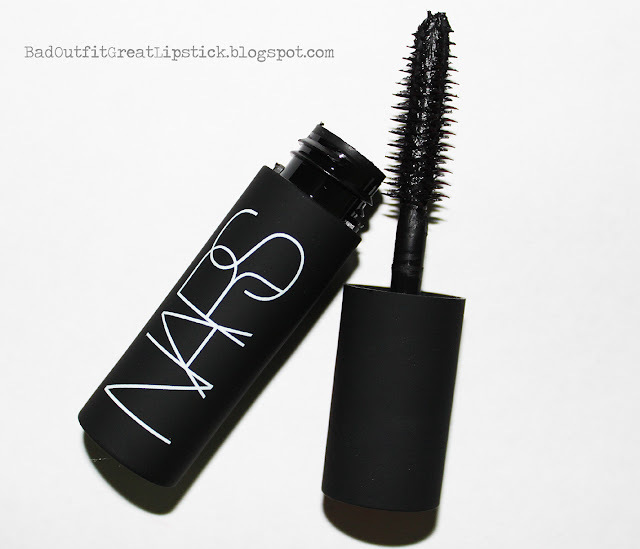 I'm glad to say that the NARS Audacious Mascara in Black Moon is a rare exception. The NARS Audacious Mascara retails at $26 for the full 0.32oz size, which is relatively standard for a high-end mascara. To the best of my knowledge, Black Moon is the only shade available, although I'm sure some cool bright shades will come out for fall. The packaging is NARS's typical black rubberized stuff, which most people have mixed feelings about. On the one hand, it's really elegant and beautiful; I feel classy pulling this stuff out of my makeup bag. It also makes it easier to grip the tube. On the other hand, it gets dirty freakishly easily and is a pain in the arse to clean up. So it's pretty and functional, but probably best left on your vanity. The wand has rubber bristles. These are not my favorite thing because they tend to be really freaking pointy and painful. Luckily, this brush is minimally pointy: it definitely isn't as soft as a traditional fiber brush, but it doesn't cause me immense pain like that horrendous Kat von D mascara. 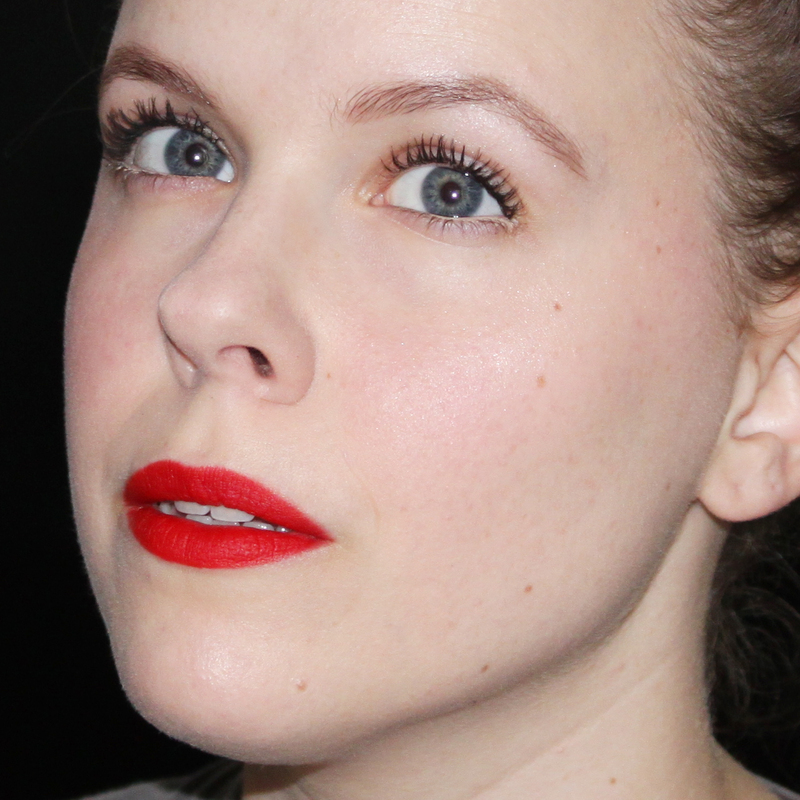 I can wiggle it in to the roots of the lashes without making my eyes water. If you have very sensitive eyes, you may want to check out the brush on a sample tube at your nearest retailer. While I usually hate rubber bristle brushes, I have to say that this one does the mascara a lot of favors. The formula is thick, creamy, and slightly on the dry side, which tends to lead to plenty of volume and inky goodness (yay! ), but also major clumps (eek). I didn't really have this problem with the NARS mascara because the brush separated the lashes well while still coating them. The result is great volume, good length, and minimal clumps. 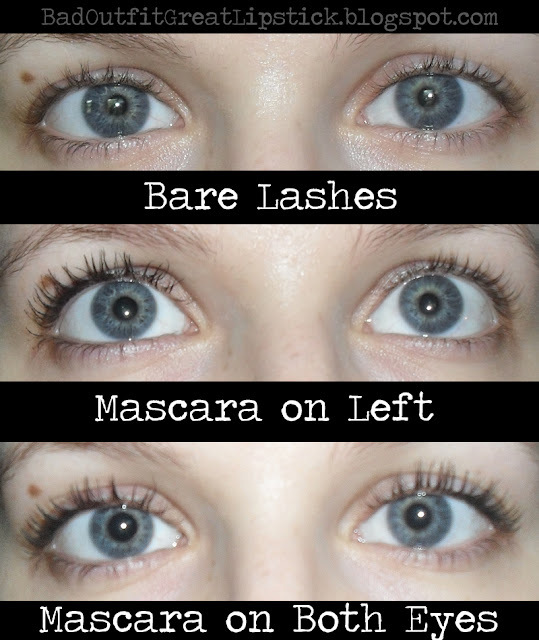 The wear on this mascara is also almost-perfect. I didn't have any problems with smudging. I did see a very tiny amount of flaking, but that was at the 5-6 hour mark, and it was just a few itty bitty flakes on each cheek. One of the best things about Audacious is that you can easily "amp it up" by adding eyeliner or doing an extra coat. 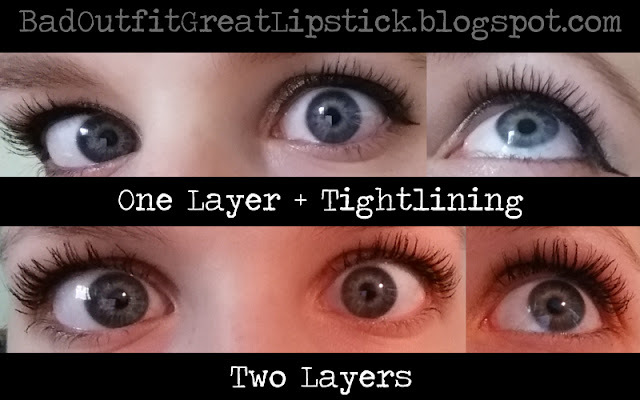 This may seem like a silly thing to get excited about, but it's been my experience that a lot of mascaras do not layer well and/or do not look all that different when you tightline. I'm especially wowed by how voluminous and thick my lashes look with just two coats of the mascara: there's tons of volume, but the clumping is still minimal. Removing those two layers, though, is a little tricky. Audacious is by no means the most tenacious mascara I've ever used, but I do have to hold my baby oil-soaked cotton square on to my lashes for a good 30 seconds per eye to remove the stuff. I can't imagine micellar waters or especially gentle cleansers removing it. Overall, this mascara is pretty damn impressive. I'm hesitant to give it a perfect score because of the slightly pokey brush, the less-than-optimal removal, and the little bit o' flaking...but I'll be tempted to buy a full tube when this sample runs out. And considering how adverse I am to paying high-end prices for mascara, I think that deserves a 5. I'm usually hesitant to splurge on mascara too, but this looks like it might be a good investment. 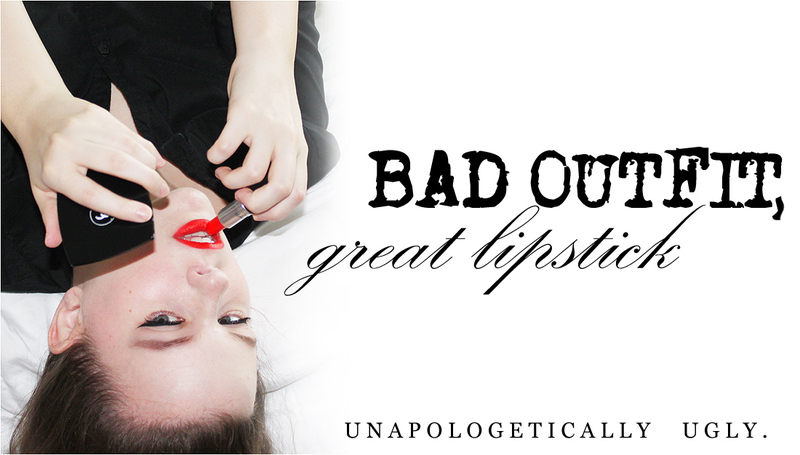 What lip color are you wearing btw, it looks fantastic on you! The lipstick is MAC Ruby Woo. A classic for a reason! Definitely ask for a sample first. This was a big release, so I'd be pretty stunned if a NARS counter didn't have some. Your results are better than mine with it! 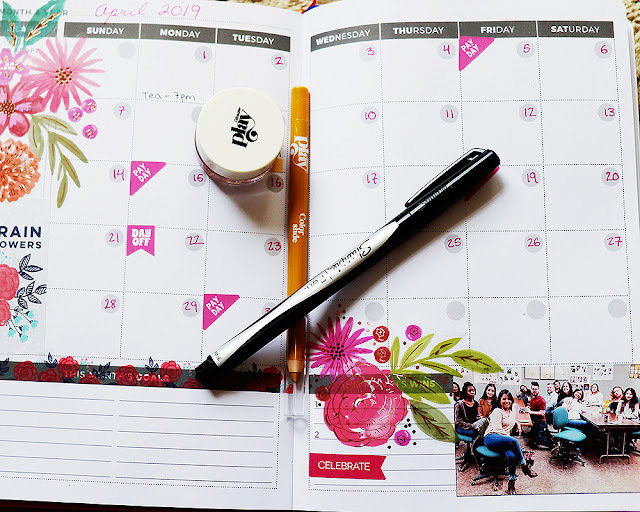 I think the formula is great but the wand is tricky for my sensitive eyes. It's definitely a little pokey. :( Not the worst, definitely manageable for many, but truly sensitive folks will immediately "NOPE" the stuff. I think the Audacious line is going to continue to be really impressive.